Music legend TOMMY STEELE will take to Mayflower Theatre’s stage from 8-12 September in a spectacular new imagining of the extraordinary tale of the world’s most famous big band leader – in The Glenn Miller Story. Accompanied by a live 16-piece authentic Glenn Miller orchestra, as well as full supporting company of singers, dancers and actors, the story of one of the most iconic musical figures of the 20th century will be told as never before. The “let’s find another show” conversations have been long and varied. And have possibly included adaptations of every screen musical ever written. It was when discussing a particular favourite of theirs; the James Stewart box office smash The Glenn Miller Story, that Bill discovered that his all-encompassing love for Elvis was equal only to Tommy’s adoration for Glenn Miller and his Orchestra. Bill learned that Tommy is a true devotee; travelling all over the world to hear what remains of the original Orchestral Sounds, and is steeped in the knowledge and the glory of what Glenn Miller did for popular music. Tommy enthused that Glenn changed the face of it from 1939 – 1943 when he was the most popular recording artist in the world. Some might say similar to what Elvis did from the mid 50’s when he too was the most popular recording artist in the world. The thought of Tommy Steele and The Glenn Miller Story was a wonderful opportunity to create something special in the mind of a producer like Bill. However, as Tommy told him, there was an obvious problem! Although he’s still one of this country’s greatest “8 shows a week” song and dance men, Tommy was too old to play Glenn! It was three years later – at a dinner party celebrating Tommy’s award as the Most Popular Entertainer of All Time at the London Palladium – that they came up with what they believed to be the answer!! What was it?? Come and see for yourself when The Glenn Miller Story is at a theatre near you. 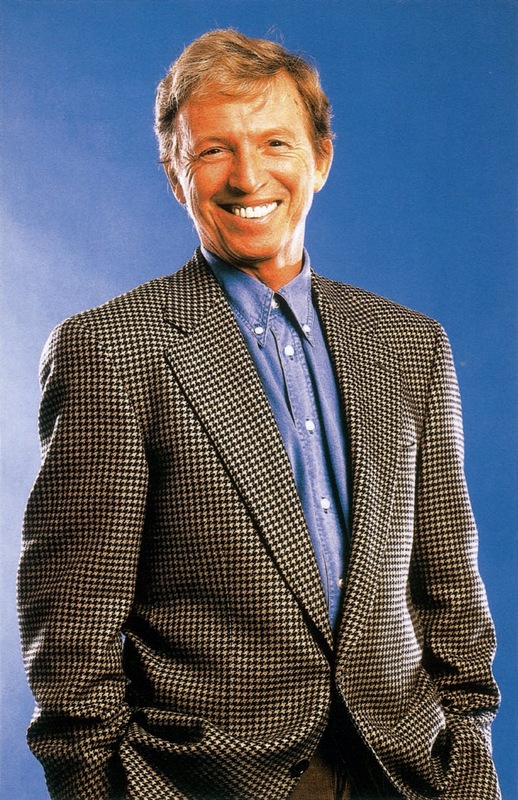 But here’s a clue – Tommy Steele will not be the Narrator. Tommy Steele was Britain’s first rock ‘n’ roll star. Dubbed the UK’s answer to Elvis Presley, he landed his first UK No.1 with Singing the Blues in January 1957, reaching the top spot before Elvis, who didn’t land his until the June that year. The big screen soon beckoned for Tommy, and that same year he filmed The Tommy Steele Story, one of Britain’s great rock ‘n’ roll movies. A soundtrack was released to coincide with the film’s opening and became the first album to reach No.1. His legendary career includes over twenty hit singles, twelve hit movies and countless award winning stage musicals such as Half a Sixpence, Hans Andersen and Singin’ in the Rain. In recent years, Steele has starred as Christmas miser Scrooge in Bill Kenwright’s spectacular production of the festive musical, which enjoyed two successful runs at the world-famous London Palladium. It was a role that also made Steele the theatre’s all-time record breaking performer, having headlined more performances than any other star in the history of the Palladium.